"How Do You Handle REJECTION? Nicholas Weatherby doesn't. Somebody must pay"
In this mystery thriller short story, UK born Nicholas Weatherby is about to ‘wake up’ the sleepy, country village of Lismore, NSW, Australia with a very sick, bitter and twisted plan of revenge. Communicating only through YouTube, this recluse has attracted a friend; a sympathiser who together wants to deliver Australia’s first University mass shooting. But they never planned on Australian detective Jack Creed to be on the case. Always seeking criminal justice Jack is up to his armpits with a myriad of suspects including Nicholas’s dumbfounded parents, a taunting ex-girlfriend and a sympathiser with deep childhood scars – all with secrets to hide – making this crime fiction more mysterious. 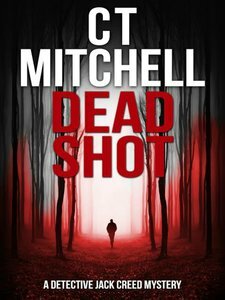 C T Mitchell, the new breed of Australian crime fiction authors, delivers a powerful murder mystery short read with twists and turns that will capture you to the very last page of this gripping psychological thriller. You won’t pick the ending in this international mystery thriller and suspense series. Jack Creed has just 48 hours to solve this crime. Strap yourself in for a wild ride Down Under as part of the author’s murder mystery thriller and suspense books. This will be your last REJECTION - I promise!